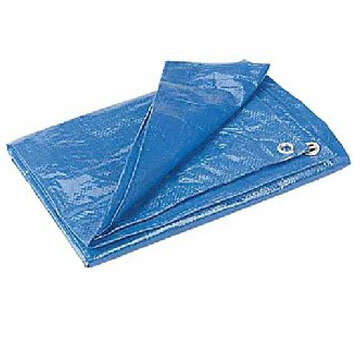 PRODUCT: 16' X 20' BLUE POLY TARP, 8X10 WEAVE, 2.9 OZ. 1-TARP. PRICE/EACH. 8 X 10 WEAVE HDPE WOVEN CENTER. NOTE: Finish Size is approx. 6" or 2% smaller than cut size.